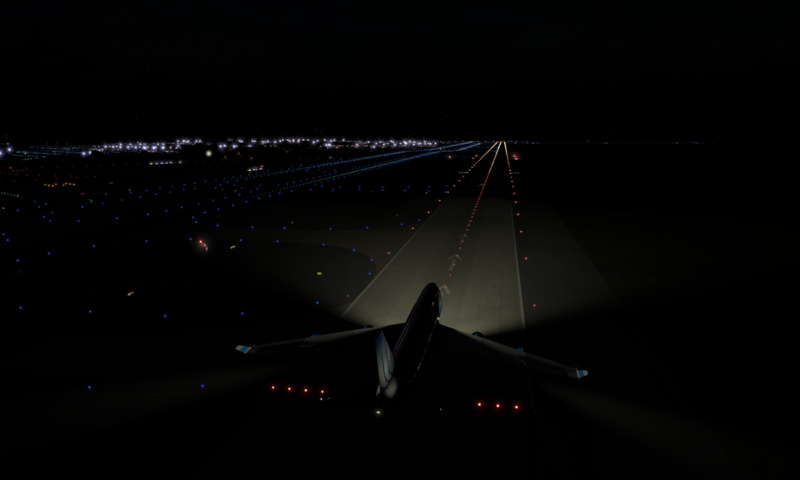 XSquawkBox is an X-Plane plugin for online flight simulation network called VATSIM (http://vatsim.net). It allows X-Plane users to fly on a global flight simulation network with other flight simmers and real live air traffic control. With XSquawkBox you will see other planes and receive real air traffic control instructions, possibly by voice (using voice-over-IP technology), possibly with text instructions. Fly on a global network with other X-Plane and Microsoft Flight Sim users. Receive real air traffic control instructions. Weather automatically downloads from the server to match real-world conditions. See many other planes out the window and via TCAS. Talk to air traffic control with live voice-over-IP audio technology. XSquawkBox works with any operating system that X-Plane works with. You must have an input and output audio device and functional drivers to use voice-over-IP features. If you are interested in making an X-Plane plugin that works with XSquawkBox, email me. There is an API defined for interplugin communication allowing you to control and interact with XSquawkBox. You can add voice integration to XSquawkBox, file flight plans, etc. The original developers of XSquawkBox are Ben Supnik and Chris Serio. The current maintainer of XSquawkBox is Chris Collins. You can contact him via the VATSIM Forums.